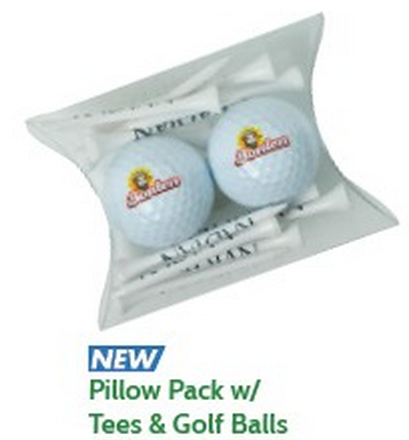 Includes approximately 15 to 20 white wood tees and a Poker Chip Ball Marker. Packaged in a plastic pillow pack. Price includes a full color imprint on both sides of the poker chip. Poker Chip Colors Available: Black, Red, Green, Blue, Orange, Yellow or Gray. Price includes a one color imprint on the tees and a full color imprint on the poker chip.